Every morning in Hawaii, sailboats head out from harbor. In this watercolor sketch done on site, I painted one of them just as it sailed out beyond the breakers. In this painting I wanted to capture the beautiful, ever-changing colors that are visible in the waters of Oahu's Kailua Bay: pale green, turquoise and deep blue. 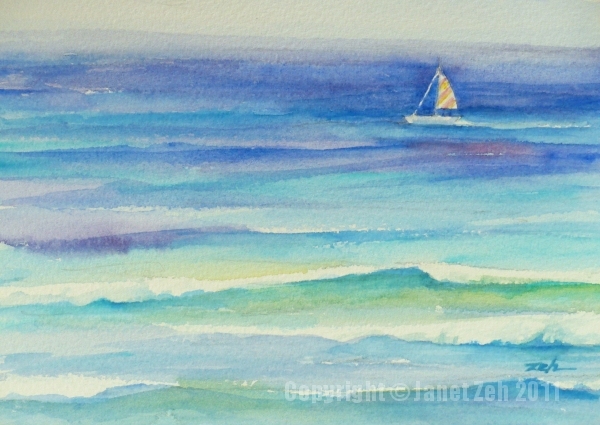 See more seascape paintings in my Hawaii collection.